• be hosted at a venue with practice space, ample and sizable change rooms, in addition to a state-of-the-art theatre facility. 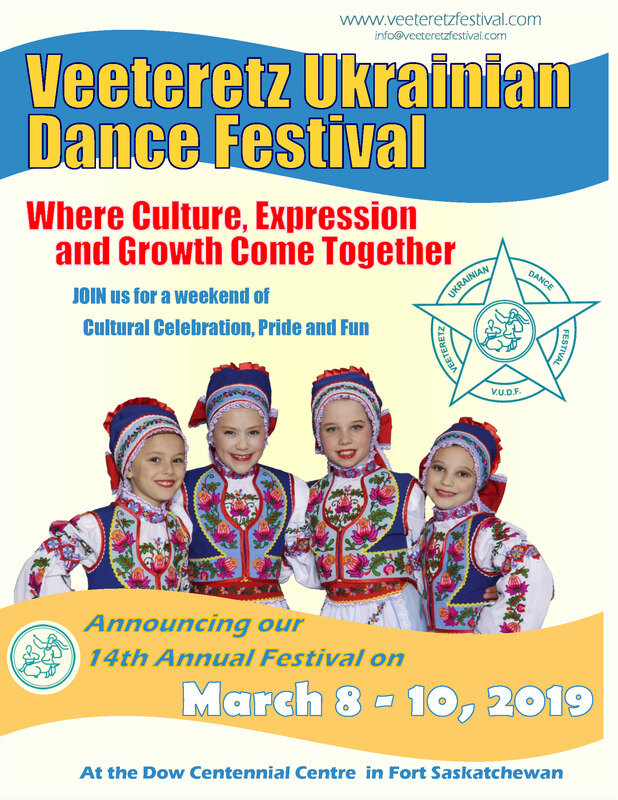 The VUDF is proud to be recognized regionally as an event that builds deeper awareness of the Ukrainian heritage for participants as well as the public-at-large. Overwhelming support from the Ukrainian Dance Community recognizes a niche which had yet to be filled in the province. Since its inception, the festival has focused on its Mission Statement: to provide aspiring Ukrainian dancers with a positive learning environment, and an intention to enhance dancers’ personal growth and to strive towards higher levels of achievement.